Last weekend, I photographed Becky and Kevin’s beautiful winter wedding at the always stunning and elegant Park Savoy Estate in Florham Park, NJ! 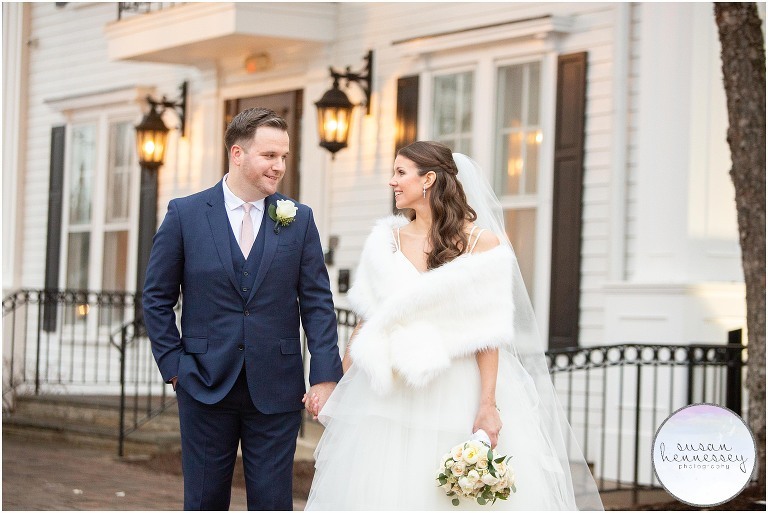 We had a gorgeous snowfall the morning of their wedding and it added such a romantic touch to their day! 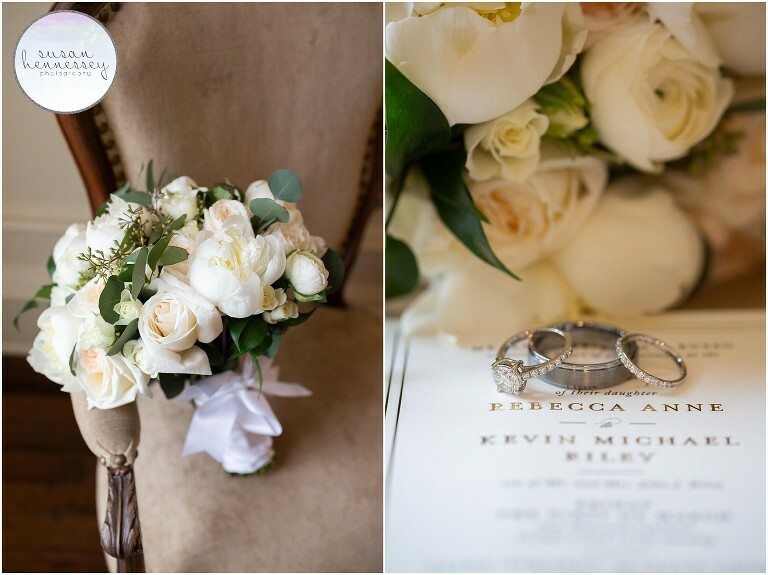 Becky and Kevin’s Park Savoy Estate wedding began in the bridal suite for her and the masculine groom’s suite for him. I absolutely loved photographing Becky and her girls in the massive bridal suite, we had stunning natural light and her flower girls were such fun little girls to photograph! Once Becky was dressed, we went outside for a few gorgeous winter portraits before heading to St. Vincent Martyr Church for their traditional Catholic ceremony. After the ceremony, we headed back to the Park Savoy Estate where we used the grounds for photos before this group partied all night to their band, Livewire. 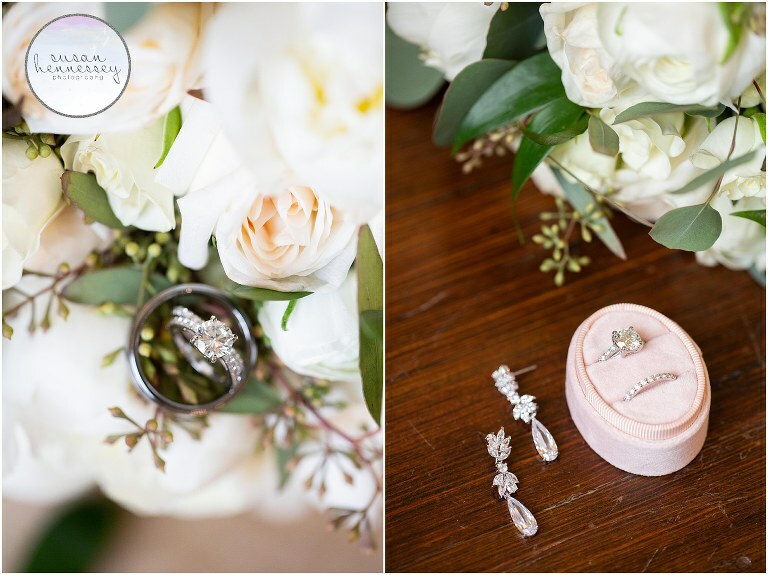 Becky and Kevin’s wedding at Park Savoy Estate was the perfect winter day, between the gorgeous shawls to keep her and her bridesmaids warm outdoors, to her white, ivory and blush color scheme and her garden roses, runicula and peonies filled bouquet to the twinkle lights at the Park Savoy and the pretty fresh snowfall on the ground – this day was a winter wedding dream! 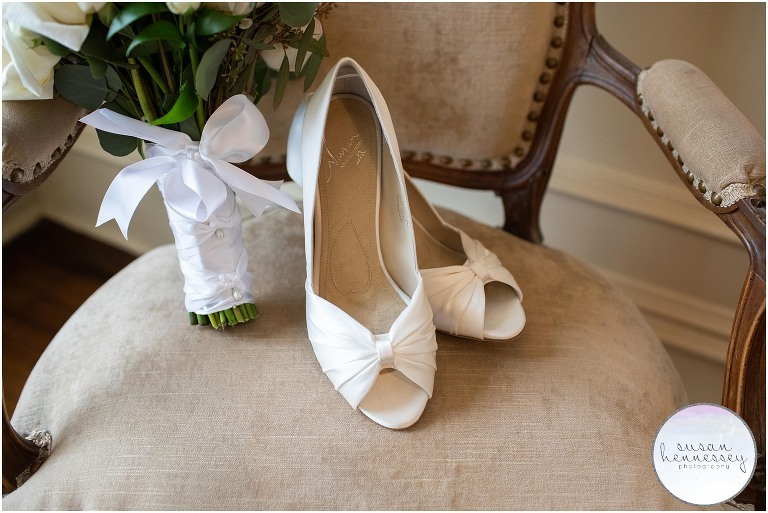 Are you planning a Park Savoy Estate wedding? Click here to view all the beautiful weddings that I have photographed at this elegant North Jersey wedding venue! Ready for more info? Click here to fill out my contact form!